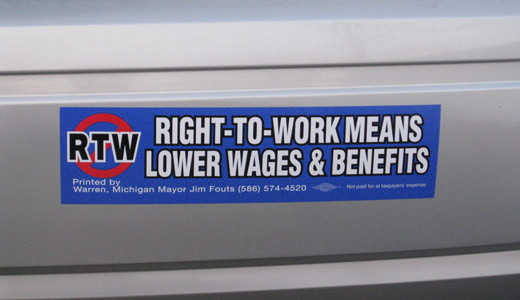 COLUMBUS, Ohio – On May 1 (May Day), right-wing Republicans introduced in the state legislature three versions of anti-labor “right-to work” legislation – one directed at private industry, another directed at public workers, and a third that would immediately place that legislation on the ballot for referendum. Right-to-work legislation is now being pushed by right wing, pro-corporate legislators nationally in order to break the power of unions, which now only represent 9 percent of workers in private industry in the U.S. Right-to-work would bar unions from collecting dues from all represented workers, while still requiring unions to represent all workers. 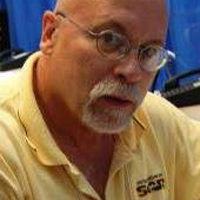 It would reverse previous union elections won by unions in which the entire unit had elected to be represented by unions, breaking the unity needed by labor to have any power. The Ohio AFL-CIO immediately swung into action on the first bill with a huge lobbying effort, involving hundreds of workers at the Capitol for the federation’s legislative conference, The union members buttonholed their lawmakers, demanding “No” votes from them. “Over 170 workers organized 54 meetings with their legislators and came away with 25 signed statements from them that they would vote ‘No’ on any ‘right to work’ legislation,” according to AFL-CIO Legislative Director Matt Smith. A quickly called militant rally against the bills sprang up by noon at the Capitol, with hundreds of union workers and supporters chanting “NO on right to work, YES on workers’ rights!” By the end of the workday, hundreds more workers were marching around the Capitol, as part of this year’s May Day mobilization. They also demanded an end to attacks on workers. The labor federation announced that that it, and We Are Ohio, the huge alliance which led the fight that overwhelmingly defeated last year’s attempt to disenfranchise public union workers in Ohio, had set up dozens of meeting across Ohio to mobilize workers, families and supporters against the right-to-work legislation. Republican Gov. John Kasich and leading GOP forces at the Statehouse moved rapidly to kill all three RTW bills “for now,” Rep. Ron Maag (R-Lebanon) announced on May 3. Clearly they are showing that they want no part of another huge fight for workers’ rights in Ohio, at least this year. However Ohio union activists generally feel that the Republican majority is only postponing this battle until next year’s lame-duck session, when it will be re-introduced.